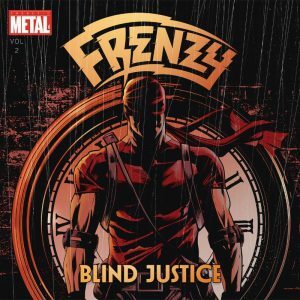 Madrid (Spain) – Traditional heavy metal rockers FRENZY will release debut album Blind Justice February 4 on Underground Power Records. Self-admitted Heavy Metal and Comics fanatics and fronted by U.S. born singer Anthony Stephen, FRENZY has successfully created a fresh approach to the traditional style accompanied by great lyrics focused on comic books and graphic novels such as Daredevil, From Hell, The Killing Joke, Silver Surfer, X-Men, and others. 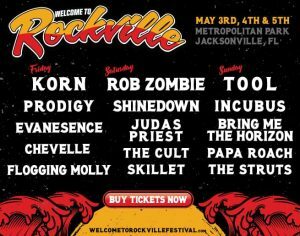 This band truly is the perfect union of Heavy Metal and Comics, combining the “larger than life” and epic aspects of Heavy Metal with those of the Comic Book classics, as well as the urban culture common to both worlds. Those elements together form the FRENZY universe. The graphic work of Mike Mora (Heavy Metal Magazine) and Javier Pastor (Evil Rite) on Blind Justice is the perfect match for this music, resulting in a holistic listening experience.